Obituary for Douglas Bernard Glasscock | Swan Valley Funeral Services Ltd. It is with saddened hearts that we announce the passing of our dear husband, father and grandfather, Douglas Glasscock, Tuesday, February 5, 2019 with his loving wife by his side. His memory will be forever cherished by his wife, Sharon of 44 years; daughters Theresa Grandfield (Cory) of Minitonas and Sue-Anne Natyna (Steve) of Minitonas; five grandchildren – Carnell, Logan, Felicity and Emmett Grandfield and Avrey Natyna. Doug also leaves behind his brother, Richard Glassock (Valerie) of Winnipeg, his sister in law Donna Wold of Lac du Bonnet, brother in law John Shadbolt (Linda) of Flin Flon and numerous nieces and nephews. Doug was predeceased by his father Thomas (Bob) and his mother Gene,mother and father in law Evelyn and Ted Shadbolt; sisters in law, Margaret Stein and Shirley Blanco and brothers in law Len Blanco and Wayne Wold. Doug was born January 8, 1949 at Saffron Walden, England. He immigrated to Canada in 1955, to his Uncle Arthur’s farm in Minitonas. He attended North Creek School and Minitonas Collegiate. He played baseball with Sinclair River ball team and hockey with Minitonas Tent Town. Doug quit school at the age of sixteen and started his farming career. Farming was his passion. His whole life centered around it. He raised pigs in the beginning and cattle. He loved the cow calf operation, seeing the baby calves born. He was so proud of having two sets of triplet calves born. Doug has passed his farming passion onto his daughter Sue-Anne and his grandson Carnell and the love of rural living to his daughter Theresa. Doug truly valued the support of friends and neighbors. He was always willing to lend a helping hand. Whether it be helping with the harvest or working with the cattle, Doug was always there. Doug married Sharon in 1974 and they established their own farmstead where they raised their two daughters. The family spent many summers camping at Wellman Lake. Even though he rarely stayed the night, he loved to come for supper, visit and take people water skiing and tubing out on the lake. Doug was an avid hockey fan. He was a proud supporter and season ticket holder of the Swan Valley Stampeders. He rarely missed a game. He loved watching the Winnipeg Jets play hockey and attended as many of his grandsons’ hockey games as possible. He was even seen at his granddaughters’ skating carnivals. 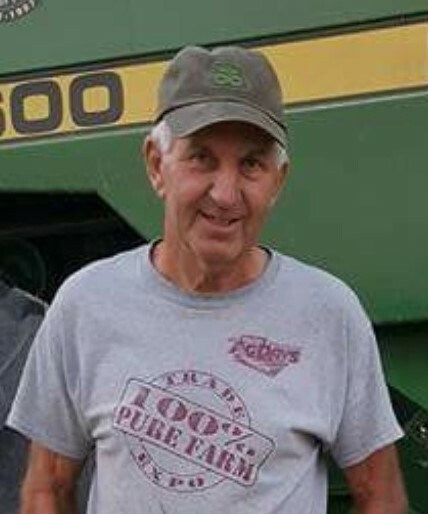 Doug will be lovingly remembered by family, friends and relatives as a dedicated farmer and cattle producer. Farming was his life. Funeral service was held February 14, 2019 at the Swan River Veteran’s Community Hall and interment at Minitonas Cemetery. Rev. Kathy Highmoor officiating. If friends so desire, donations in Doug’s memory may be made to: Minitonas 4H Beef Club or CancerCare Manitoba. We would like to thank all the staff at the Swan Valley Health Facilities for their excellent care and compassion.